Thanks for your comments that it is safe but I am not sure I am convinced. The preponderance of articles I read comment on how unsafe microwave cooking is. There is even an article stating that a women died from a blood transfusion where the blood was thawed in a microwave. More evidence supporting your thesis would be appreciated. 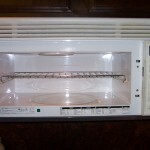 1) I agree that there is a large body of articles against microwave cooking. It does not mean that they are correct. People are often afraid of things they don’t understand, and since microwave cooking certainly ranks with some of life’s mysteries, people’s fears are understandable. I have examined quite a few of these articles. They all say the same thing, quote each other, and never offer anything that can be substantiated. Until I am shown something that provides some sound basis, I believe it is a safe form of cooking.